Empowering learners, preparing hearts, and inspiring lives to faithfully serve as ambassadors for Jesus Christ. Students in HS French Club and Mrs. Dubovik's French class practiced their French and learned to make famous French macarons at Cake Art, a local shop. 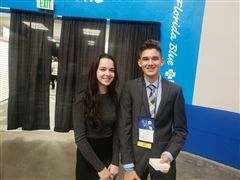 During spring break, freshmen Melanie Deville and Dante Martinez competed and won awards at the 64th Annual State of Florida Science and Engineering Fair held in Lakeland, FL. Dante was awarded an Honorable Mention for his work with C. nivales and tardigrades while Melanie won the Office of Naval Research Naval Science Award for her work with rocket fuel. 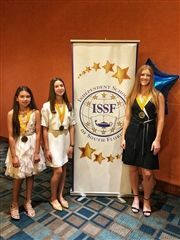 They competed with over 900 top science students from all over the state and were among a select few who earned honors. We are so proud of our students! 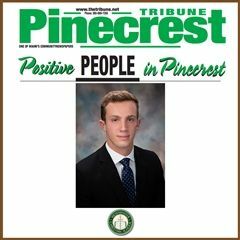 Congratulations to senior Juan Carlos Acevedo for being named a Positive Person of Pinecrest by the Pinecrest Tribune. 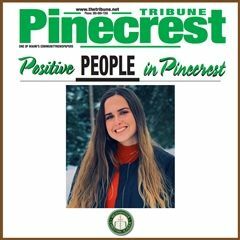 Congratulations to junior Caroline Boulris for being named a Positive Person of Pinecrest by the Pinecrest Tribune. Why do you love WCS? We asked some students around campus to find out why they love WCS. Junior Edgar Jorge Belaval has been named a Positive Person in Pinecrest. myWCS allows for parents and teachers to easily communicate with one another within this private community. Parents are members of an all parent group, and may be members of smaller groups that pertain to their child's grade and/or extracurriculuar activities. Please be aware that when using the internal messaging system in myWCS, by default, all replies are sent to the entire group. If you want to send an individual reply to the sender of the message, please compose a new message to that specific person. This helps avoid large groups, or in some cases the entire school community, from receiving unintended messages. Thank you for your help. All students new to WCS entering grades 6-12 must attend ONE mandatory Surface Pro training session. The session lasts 1.5 hours. 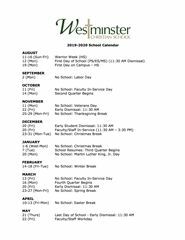 Grab your calendar and check off the important dates on the abbreviated 2019-2020 WCS Academic Calendar. Download HERE. 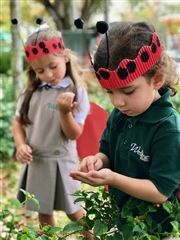 Westminster Christian School is a private, college-preparatory school for students from preschool through 12th grade, located in Miami, FL.